The Hyundai Tucson is a small crossover SUV, bigger than the Kona but smaller than the Santa Fe. 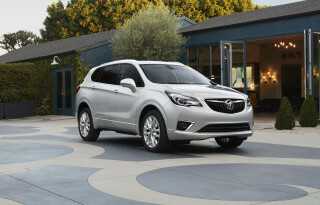 The Tucson competes against mainstays such as the Honda CR-V, Toyota RAV4, Ford Escape, and Subaru Forester. A fully redesigned version of the Tucson arrived for the 2016 model year. Hyundai updated the design and powertrains for the Tucson for the 2019 model year. 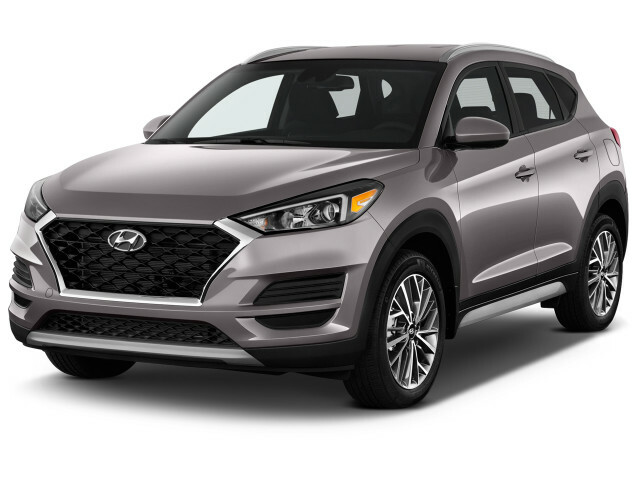 With the Tucson, Hyundai sells a useful hatch-wagon with available all-wheel drive; off-road ability isn't nearly as much its forte as simply being a versatile, maneuverable vehicle with a high seating point. Today's Hyundai Tucson slots between its new Kona and Sante Fe SUVs. Hyundai retouched the shape for 2019 with a new grille, headlights and taillights. The Tucson’s interior adopted the shapes of the Kona, with a lower dash and a big touchscreen. 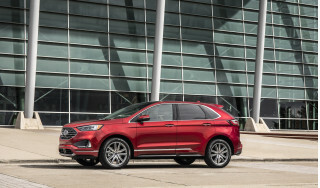 For its first three model years, Hyundai powered the Tucson with either a 164-horsepower, 2.0-liter 4-cylinder engine or a turbocharged 1.6-liter inline-4 with 175 hp. For 2019 Hyundai replaced the turbo-4 with a non-turbo, 2.4-liter inline-4 with 181 hp. Both engines issue power to the front or all four wheels via a 6-speed automatic. In the latest Tucson, interior space grew, and so did the list of available active-safety features. Forward-collision warnings became standard in 2019, along with active lane control. The Tucson added options for a surround-view camera system and adaptive cruise control to go with its standard rearview camera. Very little changed on 2017 models aside from some nicer interior materials on Sport models. Hyundai shuffled some equipment and trim level names for 2018, and made a larger touchscreen standard on more models. For 2019 the base screen grew to 7.0 inches, and came with standard Apple CarPlay and Android Auto. A hydrogen-powered Tucson was available in very small quantities. It's based on the previous-generation Tucson. The first-generation Tucson hit the U.S. market in 2005, offering an affordable compact crossover for daily driving with a range of trim levels. The Tucson has carried that basic motif through to the new generation, though over time the engine options have changed. That 2005 Tucson was available with a 2.0-liter inline-4 rated at 140 hp, or a 173-hp, 2.7-liter V-6, with both mated to either a 5-speed manual or 4-speed automatic transmission. The Tucson's three trim levels—GL, GLS, and Limited—divided the powertrains up as fit the model. The GL was available only with the 4-cylinder engine, and a choice of the manual or automatic transmission. 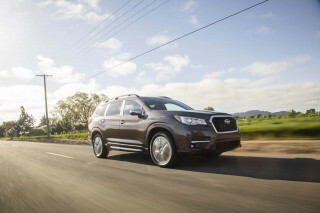 The GLS and Limited, on the other hand, were available with only the V-6 and only the automatic transmission. All models were available with all-wheel drive. Safety ratings for the first Hyundai Tucson were a strong point, earning five stars in all categories in NHTSA testing from 2005 through the 2009 model year. The second-generation Hyundai Tucson was introduced for the 2010 model year, with a much bolder new design and updated engines. 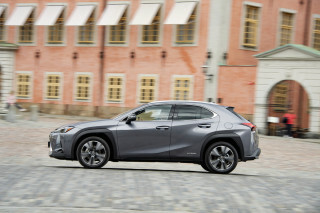 It offered a choice between two 4-cylinder engines, either a 2.0-liter inline-4 with 165 hp, or a 2.4-liter inline-4 that makes 176 hp. A choice of 5-speed manual or 6-speed automatic on the base engine became automatic-only with the bigger powerplant, but all-wheel drive was offered on either. These Tucson models were more spacious than the ones they replaced, but they didn't have quite as much interior room as competitors like the Honda CR-V and Subaru Forester. Four adults fit comfortably, and the rear seat offered decent head room and leg room even for taller adults. Safety ratings were fairly solid for this Tucson, with four stars overall from the NHTSA and mostly top "Good" scores from the IIHS; the only major demerit was a "Poor" score on the IIHS's newest test, the small frontal overlap crash test, which kept it out of contention for the agency's Top Safety Pick status. This Tucson changed relatively little after its 2010 launch. Starting with the 2013 model year, all versions came with standard air conditioning; power windows, locks, and mirrors; remote keyless entry; cloth seats; and an AM/FM/XM/CD player with a USB port. 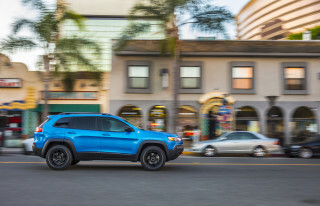 Changes for 2015 were limited, with a new option package on the GLS adding items like a touchscreen radio and power driver's seat, while Limited models got LED taillights as standard equipment. This Tucson was among those Hyundai vehicles included in a restatement of fuel-economy figures. From the 2011 to the 2013 model years, the EPA found that many Hyundai vehicles had overstated gas-mileage ratings that did not hold up to confirmation testing performed by the agency. For more info, see www.hyundaimpginfo.com.